Kieran Cunnane and Caoimhín Ó Maolallaigh of Greener Smarter Energy Consultants (http://www.greenersmarter.ie) will be the guest speakers at the October Green Drinks event which will take place this Thursday 13th of October at 8pm at Kelly’s Bar, Bridge Street, Galway. 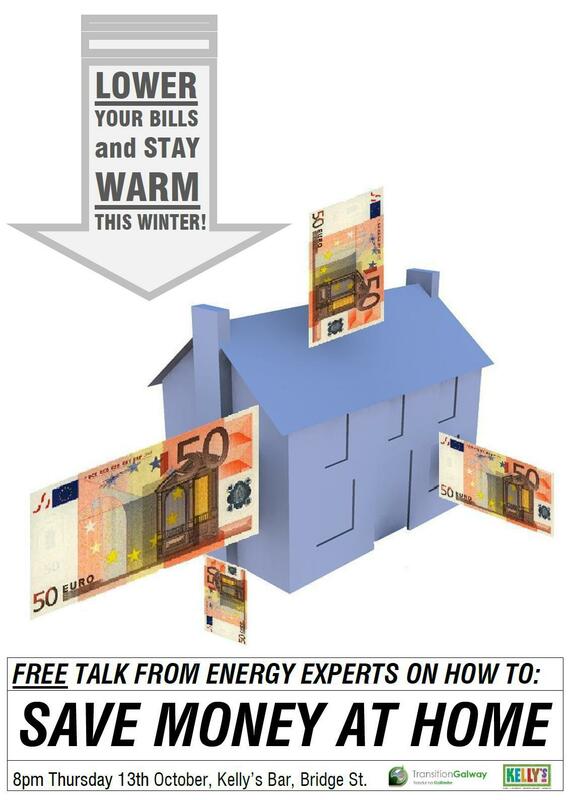 They will give a free presentation on how to save money, stay warm as well as reduce CO2 at home. They will then take questions from the audience following the presentation. Leaflets will also be available on the steps people can take to reduce their bills at home and do their bit for the planet. Tea/coffee, alcoholic and non-alcoholic drinks will be available at the bar. All are welcome! This entry was posted in Green Drinks by transitiongalway. Bookmark the permalink.